What do they want out of a summer school? Campers can call home on Monday, Tuesday, Wednesday and Friday evenings using our phone in the office. You can also send them emails which will we hand out to them. Of course, if your child brings their own mobile phone you can contact them during their free time. Which countries do children join XUK English from? Our students come from all around the world - from Spain to Saudi Arabia, Hong Kong to Nigeria and Russia to the Turkmenistan. Last year our campers came from 39 different countries! Our dorms range from individual rooms to rooms that sleep six - a great, fun sleepover experience! My child takes regular medication, what happens at camp? Upon arrival, we will collect your child's medication and Medical Administration Form from them. Our medical team will be responsible for the safekeeping of your child's medication and ensure they visit the medical centre at the correct times each day to administer their medication. We have a visa 'invitation' that we can scan to you. For more information about what we require to create the invitation, please click here. Can we book optional extras once XUK English has begun? Our Optional Extras fill up very fast, therefore we recommend booking them as early as possible to avoid disappointment. Once XUK English has begun, if we do have any spaces left then you are welcome to book your child onto them. How long is the journey from the airport/station/London to XUK English? Heathrow, St Pancras (central London) Gatwick and Luton are just over two hours away from XUK English. Stansted, the closest airport to camp, is just over an hour away. Please note that traffic will effect these timings. Do I need to let you know my child's level of English before they arrive? 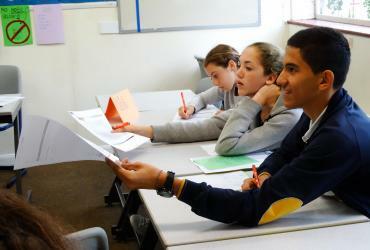 Your child will be tested on the first Monday of their stay with us by our English teachers. The students will then be grouped appropriately. Will my child receive a certificate of completion at the end of their stay? All of our students are presented with a certificate and report on the final Saturday of their stay.